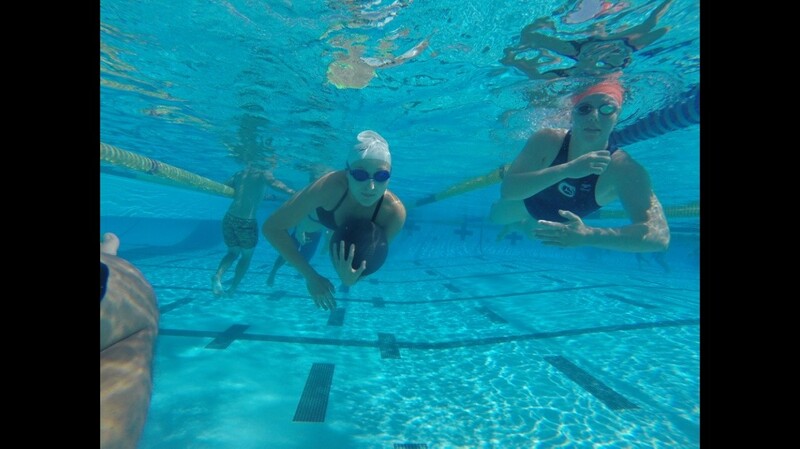 In the photograph above, Ashley displays confident-composure during the underwater swimming drill as her swim-buddy, Carey, displays picture-perfect side stroke technique. (Notice the circular motion of her hands.) Great job ladies!